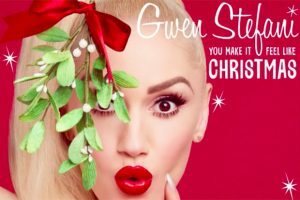 “You Make It Feel Like Christmas” is a song recorded by American singer Gwen Stefani for her 2017 holiday album of the same name. It features guest vocals from Blake Shelton and was released on September 22, 2017 as the album’s lead single through Interscope. In the United States, it missed entering the Billboard Hot 100, and instead debuted and peaked at number eleven on the Bubbling Under Hot 100 extension chart. It also charted in Scotland and on the adult contemporary charts in the United States and Canada. You can download free You Make It Feel Like Christmas ringtone for mobile now!